Crosman Dual Ammo Snub Nose Air Revolver | BUDK.com - Knives & Swords At The Lowest Prices! 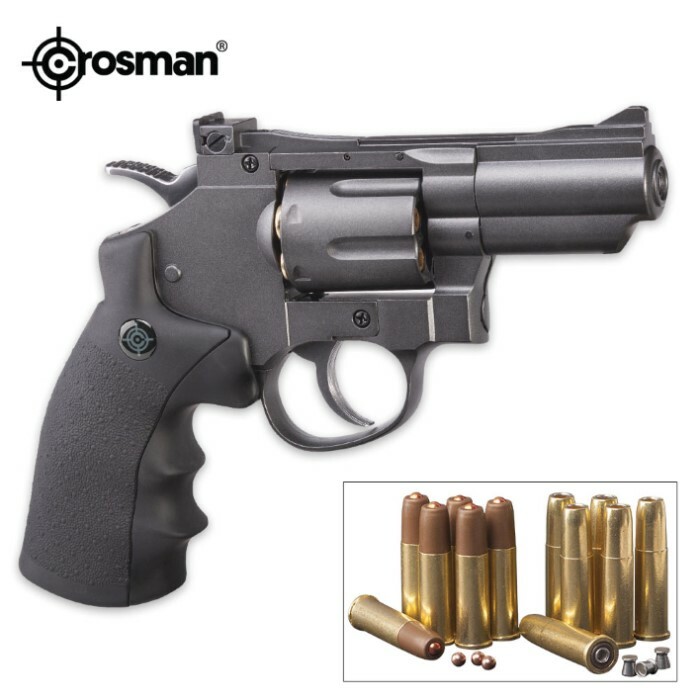 The CO2 powered Crosman Dual Ammo Snub Nose Air Revolver offers single or double action and is perfect for action shooting. 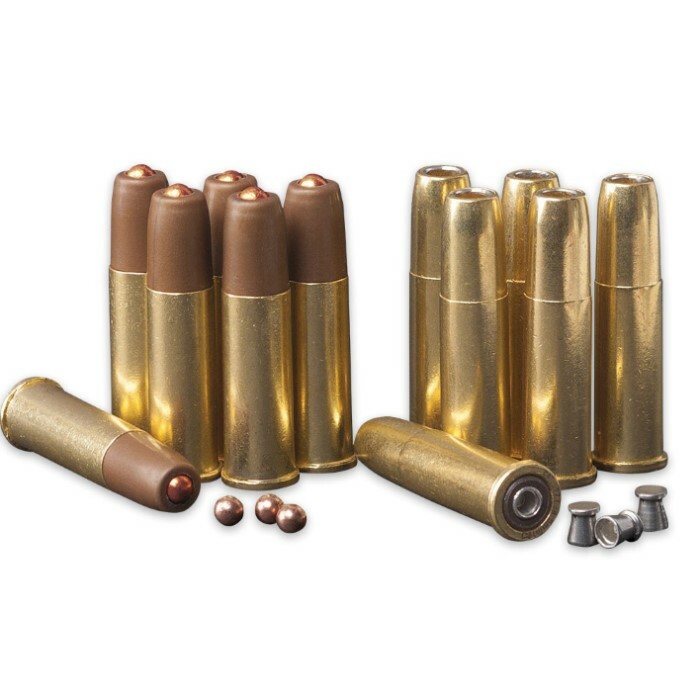 The 6-shot swing-out cylinder has reusable cartridges and you can easily switch between pellets or BBs, according to what you need. The snub nose metal barrel has a smooth bore and the full metal body incorporates a comfortable finger-groove grip design. It has a front fixed blade sight and an adjustable rear sight. It will blast lead pellets up to 350 fps; steel BBs up to 400 fps and alloy pellets up to 500 fps.